If you were a kid that grew up in the 90s, there’s a very good chance you were caught up in the all-pervading delirium of World Wrestling Entertainment. RAW stars were celebrities in the own right with wrestlers like The Undertaker, John Cena, Stone Cold Steve Austin, Hulk Hogan and Bautista commanding legions of fans. Each wrestler had a signature move and theme song to his name and the audience would break into raucous cheers whenever the greats came on. Wrestling trump cards were all the rage with every kid having a pack in his pockets — the pre-pubescent equivalent of having the latest iPhone. The boys would get giddy with excitement while talking animatedly about their favourite wrestlers and any girl who tried to enter their little club was either scoffed at or labelled ‘one of the guys’ for being ‘cool’. Even more surprising was the flippant way in which women were portrayed. Skimpily dressed, heavily made up and always hurling abuses at their opponents, they were a mere accessory to their male counterparts when the network wanted to up the glam quotient or inject some drama. Somewhere down the line, not too long after realising that Santa Claus never existed came the earth-shattering revelation that WWE was staged. While it may have been heartbreaking to find out that your favourite SmackDown rivals were high-fiving each other behind the scenes, there may have been another thought that was even more nagging. If this was for the showmanship, what was stopping the network from nurturing strong female talent that could serve as role models for young girls? What compelled them to create characters that were only meant to cater to the male gaze? Why wasn’t there greater female representation in wrestling? These were only a few of the questions that troubled the mind of a young Stephanie McMahon who watched her father and Chairman and CEO of WWE Vince McMahon head the family enterprise for many years. Meanwhile, Senior McMahon was preparing Stephanie to take over the reins of the family-owned business when she came of age but his daughter had a different vision for the future of WWE that would make it a more inclusive platform for women. We spoke to the Chief Brand Officer about the changing face of the much-loved entertainment sport and the Women’s Evolution platform NXT — the first pay-per-view to consist solely of women’s matches — which will also see India’s very own Kavita Devi compete on a global scale. What was it like growing up with Vince McMahon for a father? How did you manage to hold your own in a male-dominated industry like WWE? Tell us about the Women’s Evolution platform in detail. How was the idea conceived and was it long overdue with the feminist wave having taken the world by storm? “It’s a local initiative where our wrestlers are given the opportunity to hone their skills on a live, non-televised platform. The reactions from the audience are recorded in real time — that’s how one can learn what’s working and what’s not. My husband Paul Michael Levesque (Triple H) created these opportunities for women and our audience responded in kind. Chants of ‘This is wrestling’ and ‘Women’s wrestling’ resonated throughout the room. 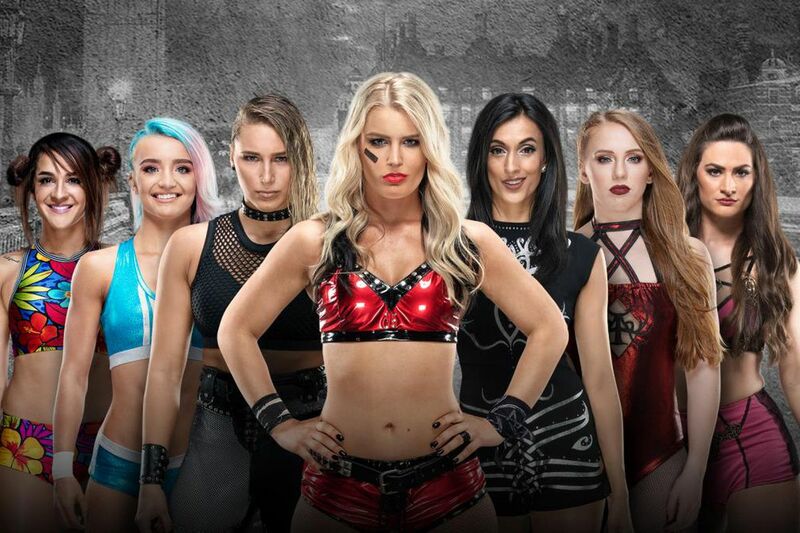 Will you also be competing on the Women’s Evolution platform? India’s Kavita Dalal will be performing on your developmental territory NXT. India has been largely absent from the WWE arena until now; was this your way of encouraging participation from Indian women? How different is women’s wrestling now as compared to the time you started out? “The whole scene has changed dramatically with women like Ronda Rousey who brings such an incredible showmanship to the arena. From participating in the Olympics and being a UFC champion to starring in movies and being an executive producer and philanthropist, she has done it all. We have women like her who are bringing such star power to the WWE platform that it has escalated the interest in women’s wrestling while improving the quality of the professionals. What is your advice for women who want to pursue careers in industries that are dominated by men? Being married to one of the most popular wrestling icons (Triple H), what does being one half of a power couple feel like? Why did you decide to get into wrestling? You were trained by The Great Khali as well as Sara Del Rey. What are the primary differences between being trained by a woman as opposed to being trained by a man? Having competed in professional wrestling as well as competitive wrestling at the 2016 Asian Games, how different is your approach towards the two? Do you think women’s wrestling is largely sexist, especially when it comes to WWE? Are there any women wrestlers you look up to in WWE?